Technically DFU mode is a most critical function for the iOS device. This mode will allow permission to users to make changes at the low level in software. DFU mode keeps your iPhone turn on, reboot iPhone/ iPad/ iPod Touch without turn off. Via this Mode’s, we can Downgrade iOS version, Jailbreak the Device for the Developers and tech geeks people. The task is not easy, so read more carefully enough and Start to Enter DFU mode on iPhone 7/ 7 Plus by following the steps below in step by step. Note: Please keep full backup device using iTunes. 2: Connect your iPhone 7 or 7 Plus via USB lightning cable to PC/ Mac. 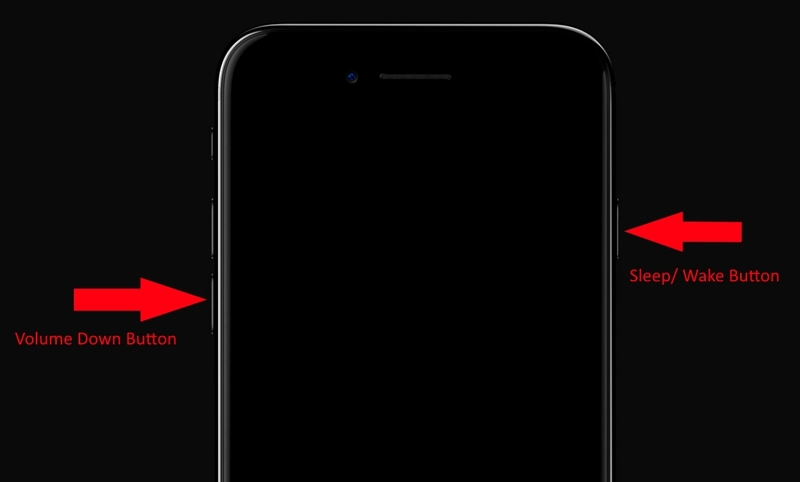 3: Switch off your iPhone (Press Sleep/ Wake button for 2 to 3 seconds until your screen show black with “Slide to turn off” option). 4: At that time press Sleep/ Wake button from left side edge, Press/ Hold volume down button for 10 seconds. 5: Next screen will show apple logo, Release Sleep/ Wake button but continues holding volume down button until you show recovery mode warning popup on PC/ Mac iTunes. 6: Now, your device’s screen goes black, You’re in DFU mode, and your device isn’t turn off, but it’s running inside. Your device screen show “Cable connected to iTunes picture” then repeat the steps above. Turn off Device by press sleep/ Wake button and Volume down button called force restart. A new way to restart now only applicable latest iPhone models (iPhone 7, 7 Plus). Repair damaged or hanging problem by Upgrade/ Downgrade system iOS on iPhone/ iPad/ iPod by Enter DFU mode on iPhone 7/ iPhone 7 Plus.